What Is the Nutrition for Cranberry Beans? 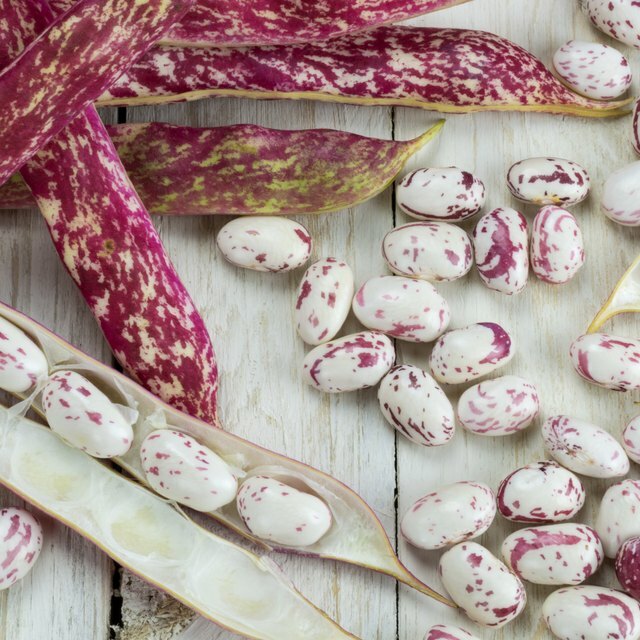 What Are the Health Benefits of Legumes? 1 What Is the Nutrition for Cranberry Beans? Beans, peas and lentils all belong to the legume family. You may also hear them called pulses, which is just another word for edible seeds. While their nutrient profiles vary a little from one legume to the next, most of them provide minerals, such as iron, magnesium and zinc. They all share two common characteristics: they're excellent sources of protein and fiber. After meat, poultry and fish, legumes provide more protein per serving than other types of food. Beans, peas and lentils have about 15 grams of protein in a 1-cup serving. Women should get 46 grams of protein daily, while men need 56 grams every day, according to recommendations established by the Institute of Medicine. Based on these guidelines, a 1-cup serving of legumes supplies 33 percent of women's and 27 percent of men's daily protein. Legumes are at the top of the list for sources of fiber. The insoluble fiber they contain prevents constipation. They also have soluble fiber, which helps keep blood sugar balanced and lowers the amount of cholesterol in your bloodstream. Fiber’s ability to prevent cardiovascular disease is so important that the Institute of Medicine determined the recommended intake -- 25 grams daily for women and 38 grams daily for men -- based on the amount needed to protect against coronary heart disease. 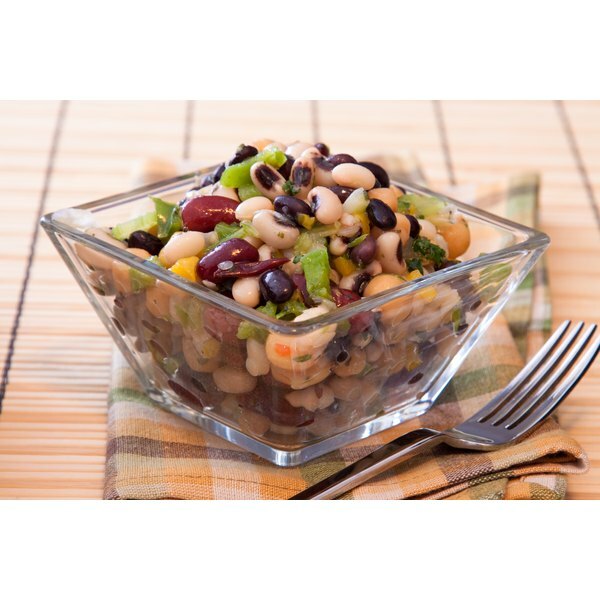 The fiber in legumes varies slightly, but most varieties provide about 16 grams in a 1-cup serving. When you’re trying to lose weight or working to maintain a healthy weight, foods that fill you up can make the difference between sticking with a diet or giving in to high-calorie snacks. The combination of protein, fiber and complex carbohydrates in legumes creates a very satisfying food that helps you feel full quickly and stay full longer. You’ll gain these benefits while consuming very little fat and a moderate number of calories. One cup of most legumes has 1 gram or less of total fat and 190 to 299 calories. The easiest way to increase your intake is by tossing a handful in soups or salads. Make your own veggie burgers by mixing beans, vegetables, breadcrumbs and egg whites to bind them together. Prepare a one-dish meal by combining legumes, brown rice, mushrooms, sweet peppers, tomatoes and seasonings, such as cumin, paprika or hot sauce. Consider making a breakfast smoothie with bananas, berries, yogurt and white beans. Try a dessert smoothie using cocoa powder, bananas, black beans and fat-free chocolate milk. Gradually add them to your diet if you experience excess gas from eating beans and other legumes. This gives your digestive tract time to adjust to the extra fiber and helps prevent unwanted side effects. Are Bean Sprouts Good for You?